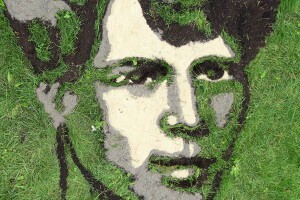 is from Ekaterinburg, now based in Moscow, has developed a technique of portraiture and writing with growing grass. Sergey Kleschev, Monobrow, Just Monobrow was born on March 1, 1987 in the city of Sverdlovsk. He grew up in the city of Yekaterinburg. Lives in Moscow. He studied to be an architect, then to the multiplier in USAAA, then graduated from the British Higher School of Design at the rate Illustration. Tutor — Victor Melamed. 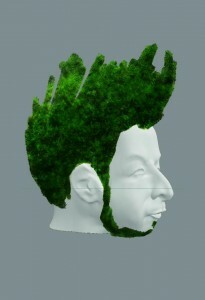 He worked in the Kommersant Publishing House, the design studio “State” and Art Lebedev Studio. Street projects in Yekaterinburg, Perm, Samara, Helsinki, Kiev and Moscow. Wants to do something great.